Don’t forget! There’s a fun scavenger hunt that’s part of this blog tour. Martina is releasing at least one new download each day! Visit each blog to find their code to unlock the the unique download and for more chances to win! You can find the full list of tour stops on the Tour Home Page. For today’s codeword, keep reading below, and find the CODEWORD in all caps. You’ll find the instructions on what to do with that codeword down below as well! The cover for Compulsion, the first novel in author Martina Boone’s Heirs of Watson Island series, alone was enough to catch my attention. Those gold tones were gorgeous and it was all in all, a total case where I judged a book by its cover. After all, looking as beautiful as it does, there was just no way that the story told on its pages would be anything less than great. I can say that, after having finished Compulsion, I was incredibly surprised by what I found in the storyline and plot. It’s a well-written Southern Gothic that is set in a very unique world, telling a story that tests the limits between romantic and familial love. After her mother, Lula, dies, our protagonist Barrie decides to return to her mother’s childhood home in the form of Watson Island. Barrie doesn’t know why her mother ran away from home with her father when she was a child, but she soon learns about the woman her mother used to be. Young. Beautiful. Carefree. Popular. All words that could have described Lula before the fire that ruined her appearance when she was pregnant with Barrie. Upon arriving on Watson Island and her family’s plantation, Barrie meets her mother’s sister, Pru, and a mysterious boy named Eight. The town is abuzz with news of Lula’s daughter returning, and with it, old secrets come to light. Barrie discovers that the three founding families of Watson Island were all born with magical gifts—ones that she has also received. But Barrie soon finds that an ancient curse has been placed on her family and that it will take everything she and Eight have in order to break the curse, and come out of this alive. My absolute favorite thing about Compulsion had to be the novel’s setting. You can tell that there was a lot of thought put into Watson Island. From the town’s backstory, to its founding, to its current state—everything about Watson Island is amazing. The amount of detail that went into describing the setting made it easy to imagine it while the novel’s conflict begins to unfold. Boone does a fantastic job of writing Watson Island in such a way that readers can immediately tell that the town—no matter how quaint it might be—has its fair share of dark history and darker mysteries. As for the characters in Compulsion, I actually enjoyed Barrie’s character a lot more than I originally imagined I would. At first, I assumed that she would be a Mary Sue, but was surprised to find that Barrie was one of the most realistic characters I have gotten to read in YA. Her decisions are rational. Everything Barrie did, I cheered her on for doing. She’s a very real character who I think plenty of young readers will be able to relate to. She can be witty. She can be hot-headed. And she can become totally badass when she has to deal with facing the secrets that her family has kept buried down for so long. She’s a protagonist who I won’t soon forget. Then there’s Eight. Eight who is described as the kind of boy every girl daydreams about. He was one of my favorite characters in the novel based on his dialogue alone. He is a bit of an alpha male, and he does come off as controlling from time to time. But it is good to know that he does have his softer moments. I don’t know what it was about the way Boone wrote him, but what really sold his character to me was his wit. The romance between him and Barrie did feel a bit ‘insta-lovey’ at times, but it slowly started to grow on me. The only problem that I had with Compulsion was the pacing. I felt that there were a lot of scenes that just dragged on, and on, and on, and left my attention wandering. There were places where I would hope a chapter would end and continue on to something new and more exciting, but didn’t. Overall, I felt that there were bits and pieces of the novel that could have easily been shortened or removed, and it did impact my experience with the novel somewhat. I would recommend Compulsion to readers who are fans of the Beautiful Creatures series. Seriously, the similarities between the two novels are uncanny and if you loved one, you’ll probably TREASURE the other. Any readers who are big fans of urban fantasy and Southern Gothics should also give Compulsion a read. Also, any readers who are interested in a novel that is balanced between teen fiction and fantasy, should also give it a go. Pre-Order Heirs of Watson Island Book Two! 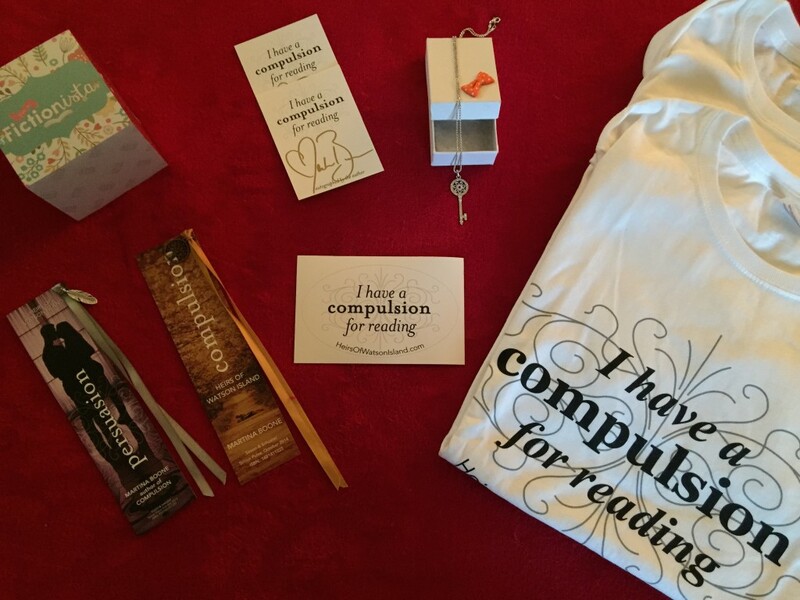 If you’ve read and loved Compulsion, good news! – To say thank you to all the amazing readers who’ve let her know that they’re looking forward to reading the sequel packed with more mystery, magic, and romance–not to mention a ghost or two or six–and to celebrate Barrie Watsons gift of finding lost things, Martina has some great giveaways going on. – There are thirteen code words in the grid below that relate to Persuasion and the Heirs of Watson Island series. – There are three great giveaways (see below!) 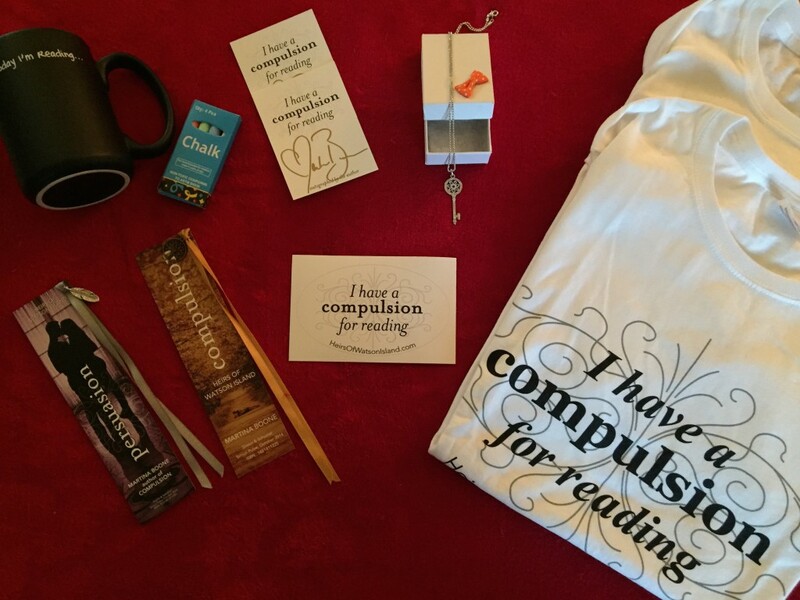 plus even more giveaways that are exclusive to Martina’s website when you visit. – As a code word unlocks a page, you can go to that page to download free items. There will be stickers, DYI origami bookmark, traditional bookmarks, door hangers, book plates, beautiful wallpapers, and more. – ALL pages will be unlocked by 9/11. – All downloads are free, and most are available whether or not you pre-order. – A few downloads will only be available with a pre-order receipt or order number. – Wherever you need a pre-order receipt, there’s also a special Rafflecopter with additional AMAZING giveaways. 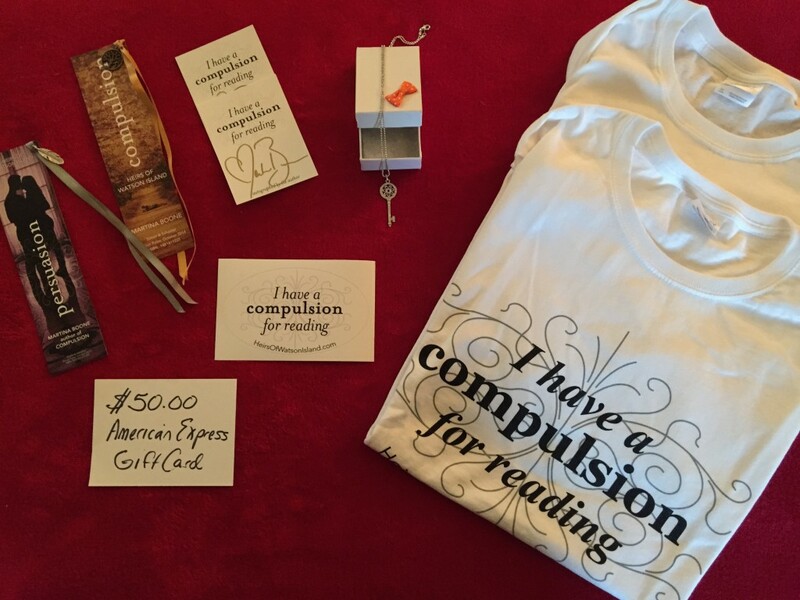 – With pre-order, a limited number of people will also receive a signed bookplate, bumper sticker, and beautiful signed Compulsion and Persuasion charm bookmarks with ribbons. Want a sneak peak at all the code words? 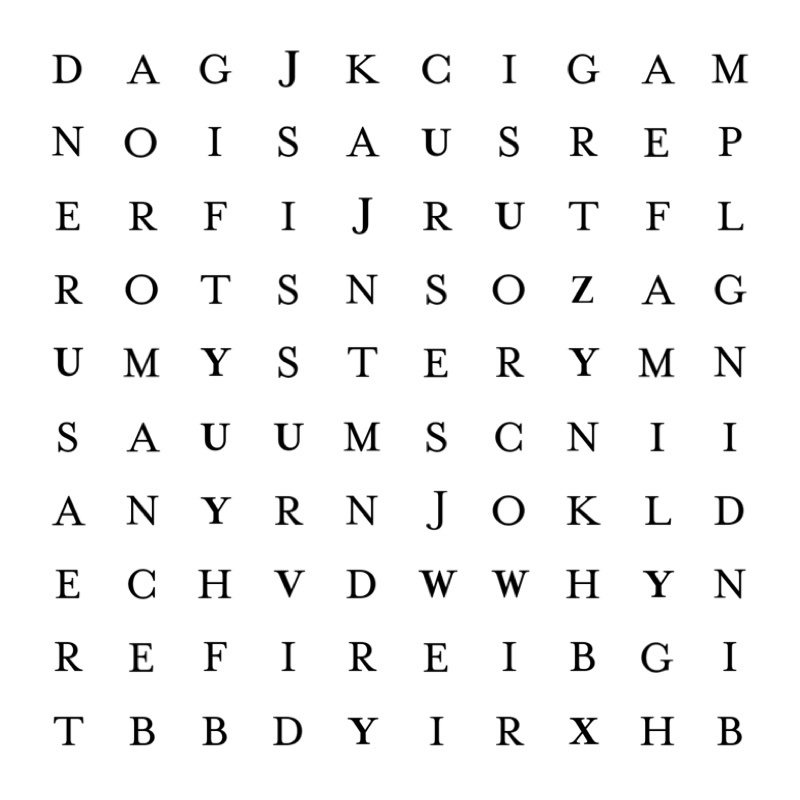 Here’s the word search puzzle that contains all thirteen! But remember, one is unlocked for every stop on the blog tour, so you’ll need to stop by each of the tour hosts to find the code word that day so you can download the freebies! Follow the rest of the tour for more free downloads every day! This book sounds amazing, so can’t wait to read it.